Battlefield V’s new premium currency system can be used to unlock weapons faster by using real money. Battlefield Currency, which was announced earlier this week and arrived in-game yesterday, will let players purchase Time Savers to reduce the amount of time needed to unlock certain rewards. 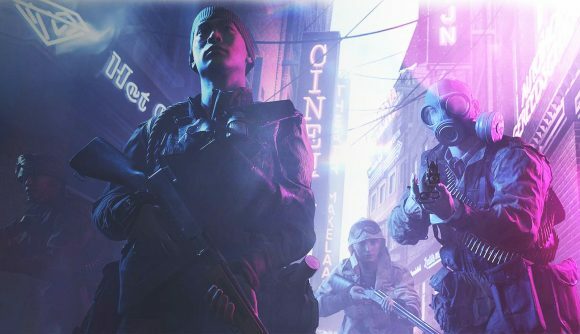 In an announcement post, EA said that “later this spring, we’ll be introducing two types of time savers that can be acquired with Battlefield Currency: Tier Catch-Ups and XP Boosts.” Tier Catch-Ups will automatically unlock chapter reward items, while XP Boosts – as the name suggests – offers more experience points for each game you play, increasing the rate at which you reach new reward tiers. As you increase your rank as any of Battlefield V’s four classes, you’ll receive class-specific rewards. Behind some of those reward tiers are weapon unlocks – each class receives a new weapon at rank five, for example. As you level up each rank – to a cap at level 20 – you’ll have the option to unlock multiple new weapons – both melee and ranged. Tier Catch-Ups can only be used to unlock Chapter Reward Items, which all appear to be cosmetic. Those Class Rank upgrades, however, can all be accessed faster thanks to the XP Boosts, which are only purchasable with premium currency. Battlefield V has been out for a while now, of course, and there’s a good chance that long-term fans of the series already have many of the weapon unlocks that were on offer for each class. For newer players, however, especially those pushed for time, EA says that the Time Savers provide a means to let you unlock more without relying on game time. Battlefield Currency is available in-game as of today, but Time Savers won’t be on offer for a while yet – expect them later this Spring.